Wash rice and dal put it in a rice cooker. Add salt,turmeric powder and salt,pressure cook till done. Heat oil and ghee in a pressure cooker temper it with above ingredients. Add the onion,mint,garlic and green chillies fry till onions change colour.Add the corn and saute for a minute.Add salt as needed. Pour the coconut milk and water close it and pressure cook till done. 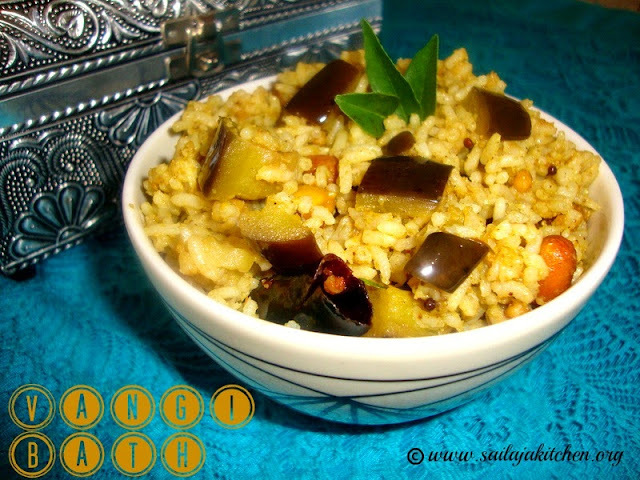 Serve it hot with ant curry or raita. Heat oil & ghee in a pan temper it with above ingredients. Fry the onions till light brown now add the ground paste,tomato & dosakaya fry it till oil separates the pan. Add rice & water cover and ,cook till done. Serve it hot with any raita. Add washed soaked rice,salt and water close and cook till done in low flame. 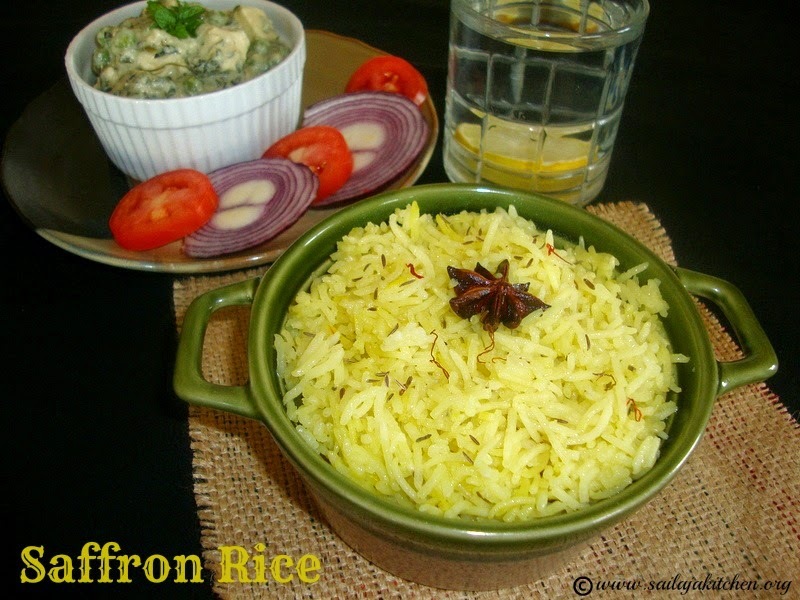 Switch off the stove and gently fluff up the rice with a fork. Serve this with any gravy you wish. 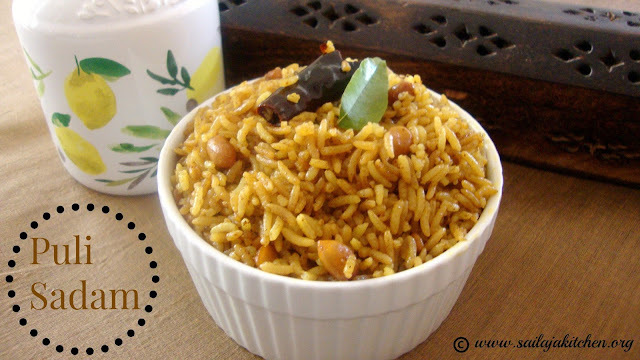 Wash & soak basmati rice in water for 10 minutes. Now add the onion,mint,tomato,green chillies & salt,saute for 1 or 2 minutes. 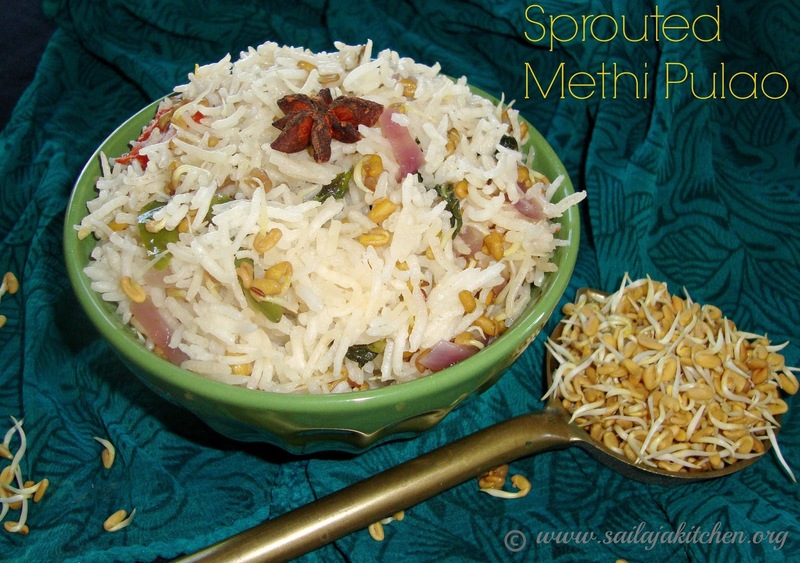 Lastly add the sprouted fenugreek and toss it well.Switch off the stove. Drain the water out from the rice, add the rice,water & the masala in a electric cooker or in open pan cook till done. Lastly add some mint leaves mix & serve it with raita. Heat oil in a pan,temper it with above ingredients. Add the brinjal,salt & turmeric powder fry till the brinjals are soft. Add the vangi bath masala powder & cooked rice. Toss them well till everything is well combined. Garnish with curry leaves & serve them hot with raita. Heat oil and ghee in a pan add the whole garam masala saute for a minute. Now add the onion,chillies and mint fry till its light brown.Add the ginger /garlic paste & saute till raw smell has disappeared. Now add the washed rice and saute till its well coated with the spices. Add water & salt cover it with a lid and cook in low flame till rice is cooked. Switch off the flame & gently mix the rice. Add a drop of oil and roast above mentioned ingredients till light brown.Do not burn them. Wash and peel the raw mango,finely grate them using a grater. Now add the grated mango,turmeric & salt,in medium low flame fry till all the water has evaporated & oil leaves the mixture.Switch off the stove. Add the ground powder & cooked rice as needed. Gently mix well to make sure its well combined. 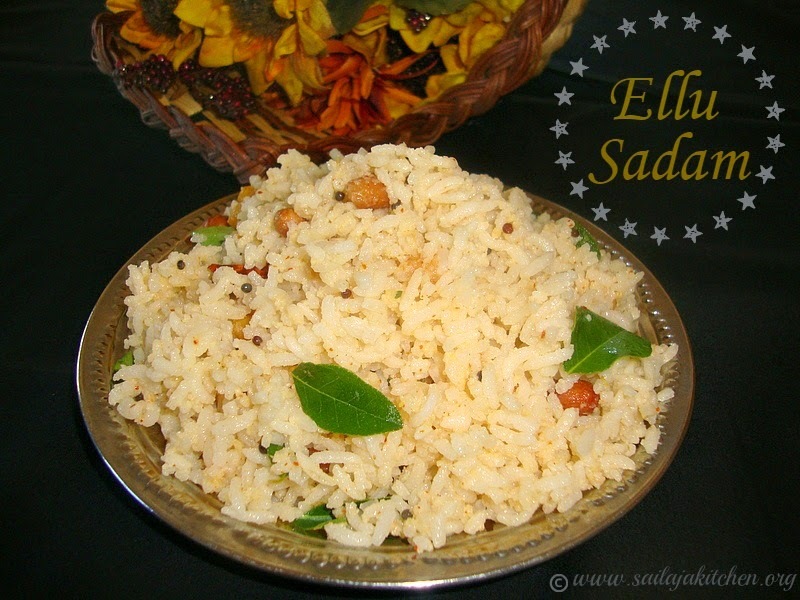 Garnish with curry leaves & serve them hot. Heat oil & ghee in a pressure cooker. Add the tempering ingredients,fry for few seconds. Now add the onion,garlic,green chillies & curry leaves,fry till its light brown. Add the tomato & fry till its mashed,add the spices & fry for a minute. Add the rice & pour water,check for salt,close it with the lid. Pressure cook for 2 whistles & switch off the stove. Once cooled open the pressure cooker garnish with coriander leaves & serve hot with raita. a) Garam masala or pudina/mint leaves can be added for extra flavour. 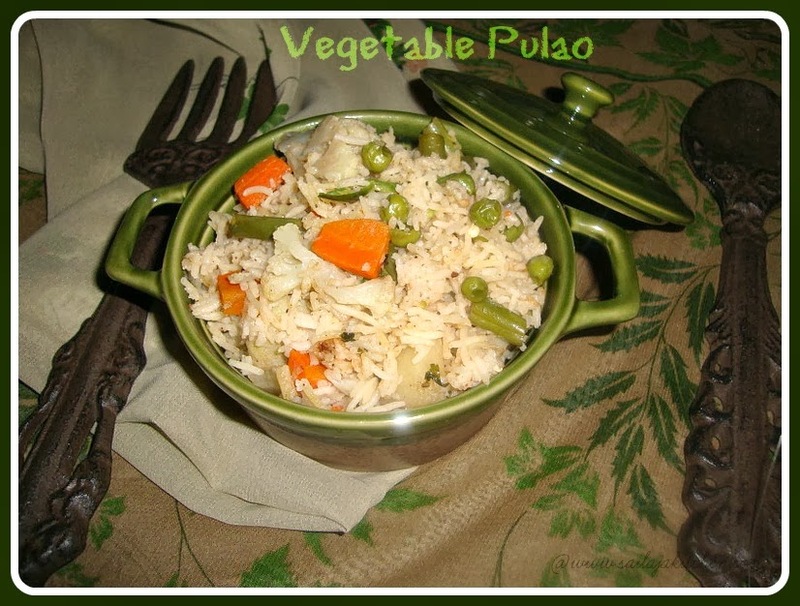 b) You can also add some peas its optional. Add washed rice,salt,water & sesame oil in a electric cooker. Cook till done,fluff it up with a fork. Heat oil in a pan add the chopped garlic & salt. In medium low flame fry the garlic till light brown.Keep it aside. Heat oil in a pan add chopped onion,garlic & green chillies and saute. Now add the vegetables & fry in high flame till they are half cooked and still crisp. Add soy sauce,salt,pepper powder & vinegar,give a quick mix. 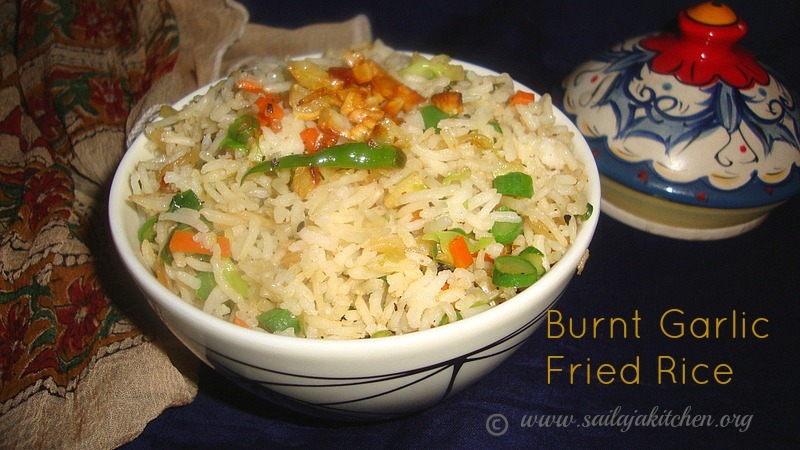 Reduce the flame add the cooked rice & fried garlic, gently mix to make sure everything is well combined. Garnish with spring onions if using & fried garlic. a) Non vegetarian can add cooked shredded chicken or scrambled egg. Heat the oil and temper it with above ingredients. Pour the tamarind juice and little water if needed & give a boil,reduce the flame. Now add salt,chilly powder,turmeric powder & jaggery. Cook till the gravy is semi thick & raw smell has disappeared. Add the rice & mix well till everything is well combined. 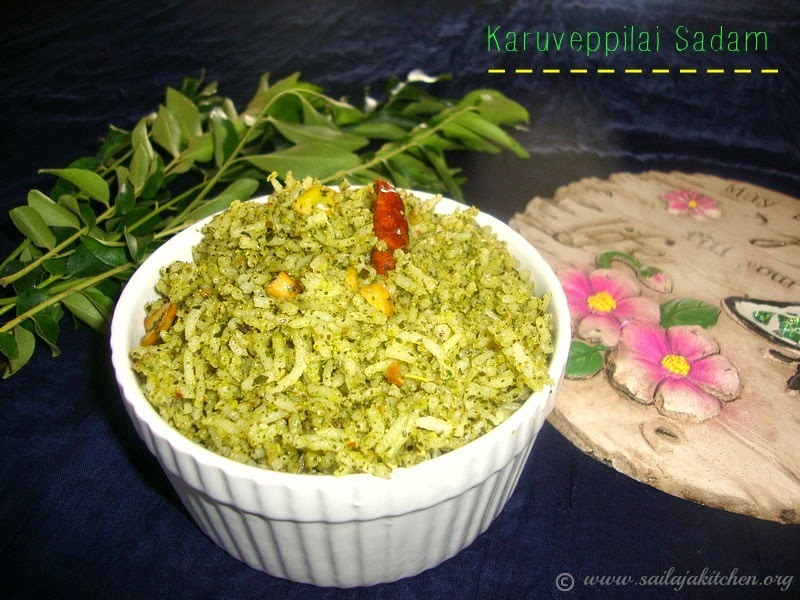 Switch off the stove garnish with some curry leaves & serve it with papad. 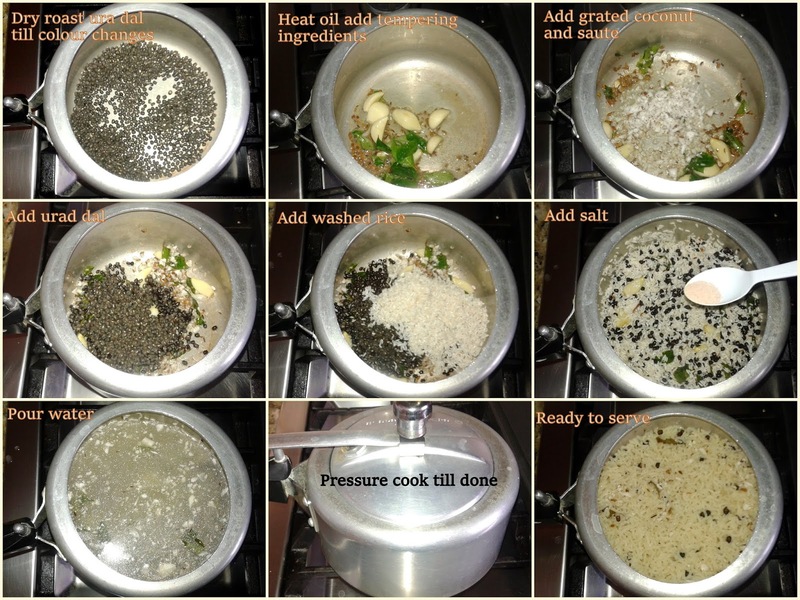 Heat oil & ghee in a pressure cooker,temper it with above ingredients. Fry onion,tomato till transparent,now add the ground paste & fry till raw smell disappears & oil has separated the masala. Add the curd,give a nice stir. Now add the soaked channa,salt,rice & water,pressure cook till just one whistle. Cool & remove the lid,pour 1tsp of ghee & lime juice on top mix gently. Heat oil in a pan fry onion till light pink,now add the ginger & garlic paste & fry till raw smell has disappeared. Add all the vegetables & mint leaves,saute for 2 minutes.Add the rice,salt,biriyani masala powder & water. Cover it with a lid & in very low flame cook the rice is done. 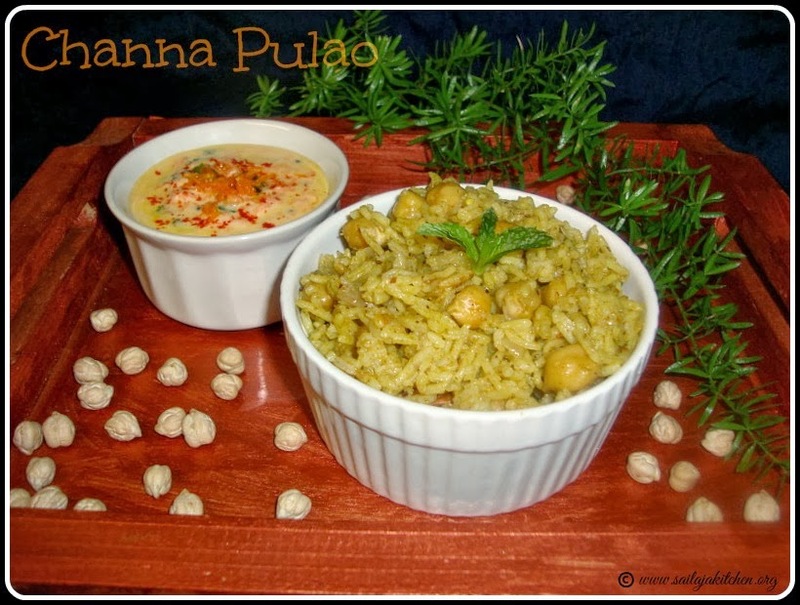 Remove the lid mix in the ghee,give a quick mix & serve it with raita of your choice. Heat oil in a pan add chopped garlic & half of spring onions,saute till nice aroma appears. Add the vegetables & saute it in high flame. Add the seasonings,soy sauce & rice,toss it well. Switch off the stove garnish with spring onions. Heat 1 tsp of oil & ghee in a pan roast the nuts till sight brown,do not burn.Keep it aside. In the same oil add the sliced onion & 1/2 tsp of sugar, fry in low flame till brown. Take a wide bowl add 4 to 5 cups of water add some salt,bring water to boil. Now add the soaked & drained rice,cook till cooked.Strain out the water. Make sure the rice is separate,do not over cook & break the rice. 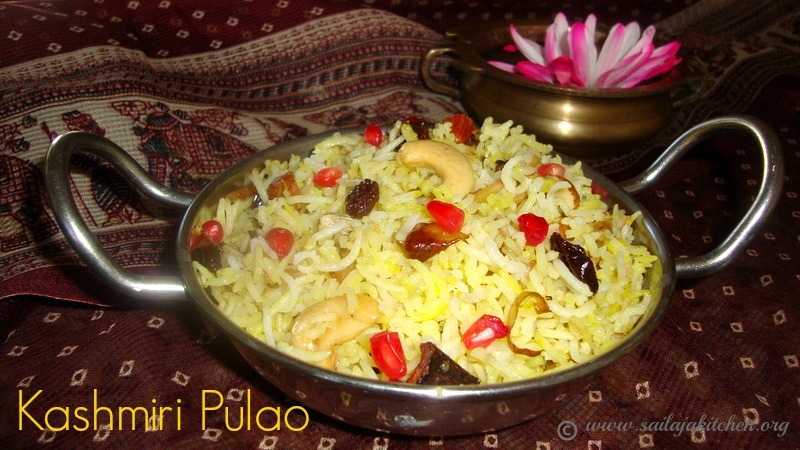 Now lower the flame add the rice,fried nuts,fried onion & saffron milk. Gently mix to make sure everything is well combined,cover it with a lid & leave it for 5 minutes. Switch off the flame garnish with pomegranate seeds & serve. a) Add fresh fruits just before serving,do not add when rice is hot. b) You can also add chopped fresh apple,grapes and pineapple. c) Do not reheat once the fruits are added. 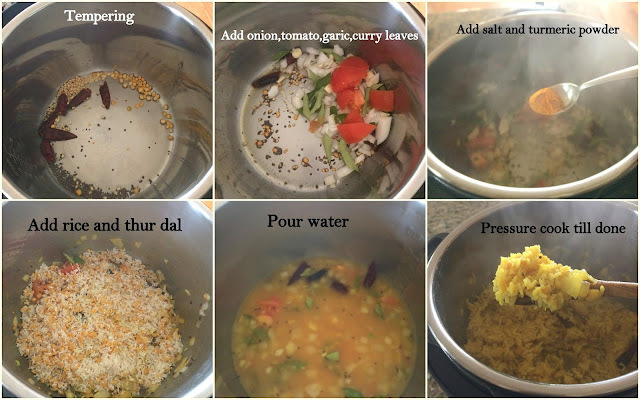 Dry roast urad dal till nice aroma comes out and has slightly colour changed. Heat a pressure cooker pour oil & temper it with above ingredients. Now add the washed rice,water,salt & dry roasted urad dal. Pressure cook till done,cool & then open the cooker. 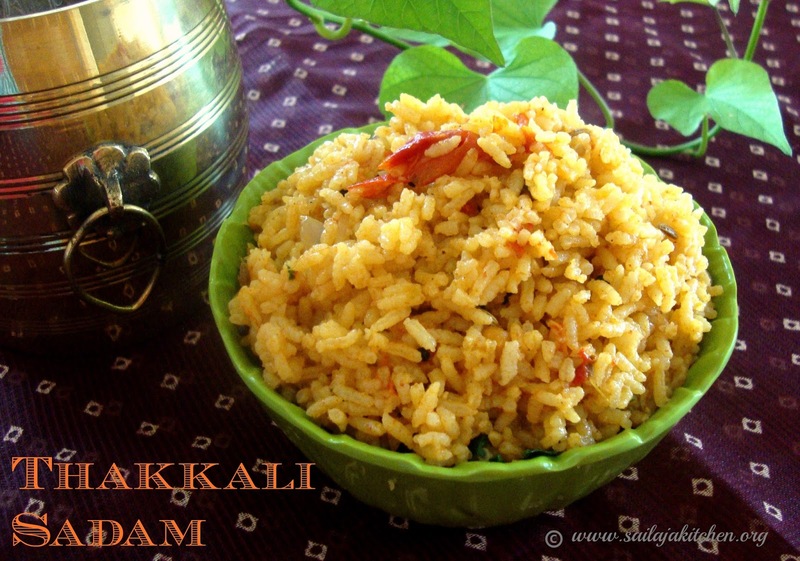 Best served with Ellu Thogayal. 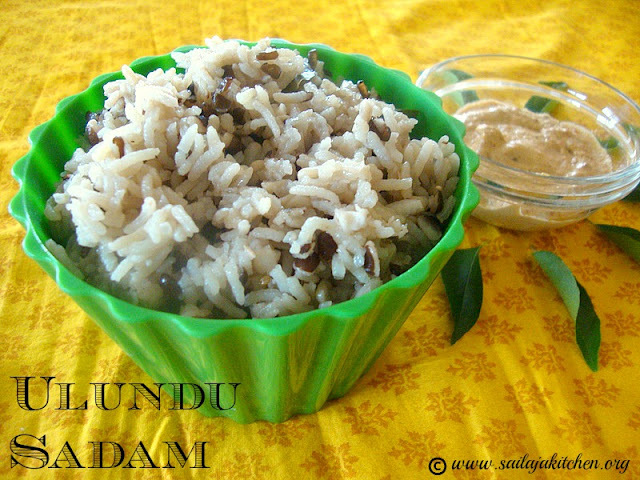 Use best quality Urad dal otherwise some beans are too hard to cook. Wash & soak rice in water for 15 minutes. Heat oil & ghee in a pan add all the spices fry till nice aroma comes out. Now pour the water,crushed saffron,salt & turmeric powder,mix well. Drain the water out from the rice,once the water starts to boil add the rice. Now lower the flame cover the pan with a tight lid. Cook the rice till all the water has evaporated & grains are separate. Switch off the gas gently fluff it up with a fork. 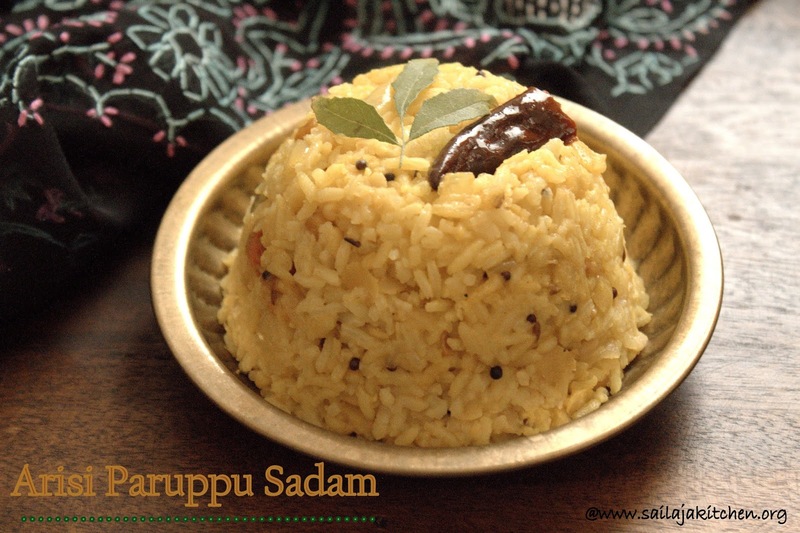 Sprinkle some crushed saffron on top & serve with any gravy you wish. 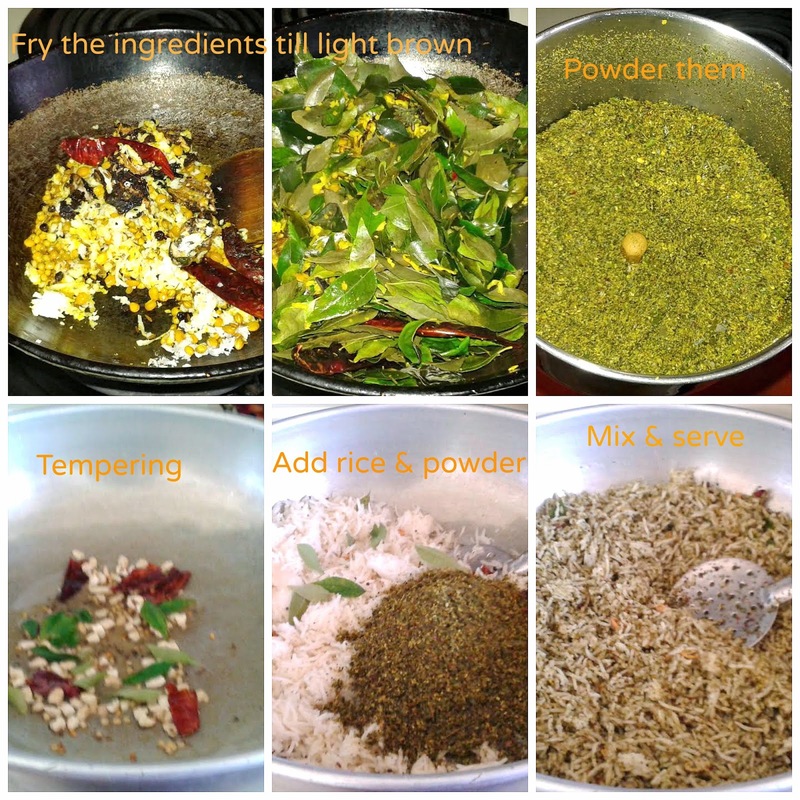 Heat a pan and dry roast sesame seeds,red chillies,hing & urad dal till light brown. Switch off the stove cool & grind along with salt to a fine powder. 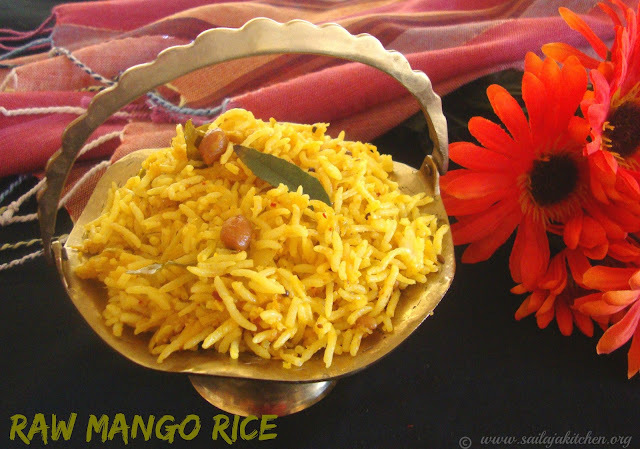 Add the cooked rice & sprinkle the required amount of powder.Mix well till everything is combined. Enjoy them with fryums or papad. 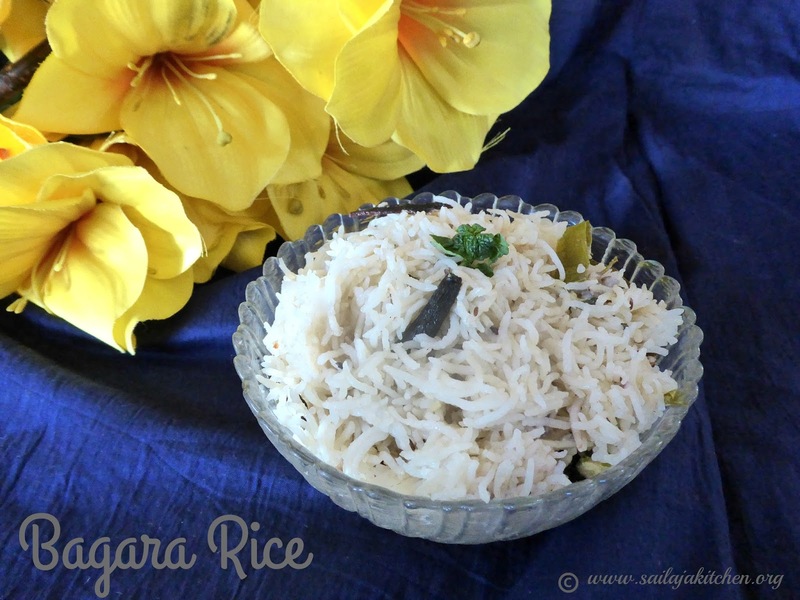 a) Grated coconut roasted & powdered can be used for extra flavour. c) Black sesame seeds can also be used instead of white. Heat oil in a pan & fry all the above ingredients till light brown on all sides in low medium flame. Do not burn the dal or curry leaf while frying. Cool them & dry grind along with the jaggery to a semi smooth powder.Keep it aside. Now add the cooked rice,salt & required amount of the powder. Mix gently till well combined. Switch off the stove & serve them with papad/chips or raita.